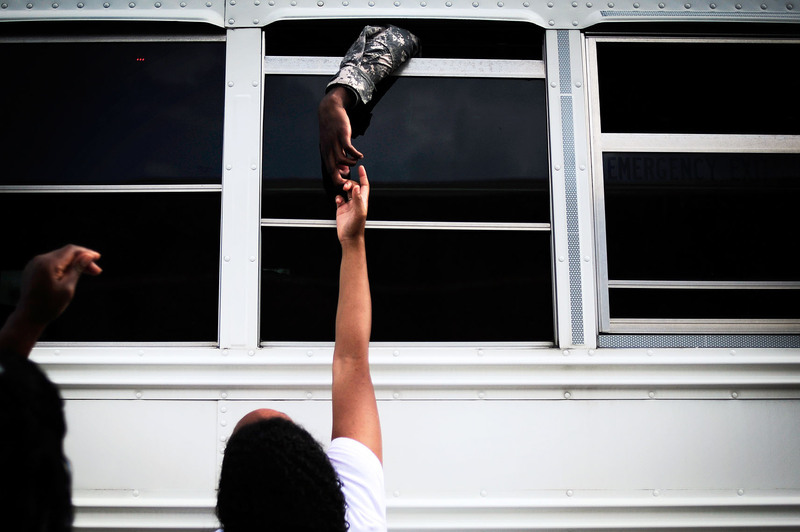 The hand of Ceteka Snowden, bottom, touches tips with her fiancee SGT Terrance Handy, while his mother Teresa, left, does the same Saturday, Aug. 21 at Fort Gordon. "I hope he comes back safe," Snowden said. "I love him so much." The two have been engaged two months and plan to marry upon his return.